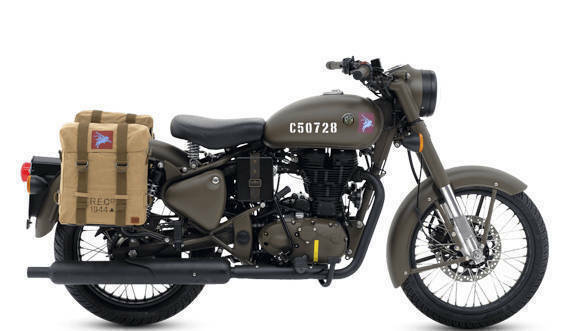 Royal Enfield will be officially launching the Classic 500 Pegasus edition in India on May 30, 2018. The limited edition motorcycle was unveiled last week. And now there is more information on the prices and the booking amount. Firstly, the Royal Enfield Classic 500 Pegasus can be booked online on the company website. The booking amount for the same is Rs 25,000. Interested customers have to register themselves between May 30, 2018 to June 9, 2018. The official bookings open on June 10, 2018 at 12PM. Only 1000 units will be produced with 250 being designated for the Indian market. 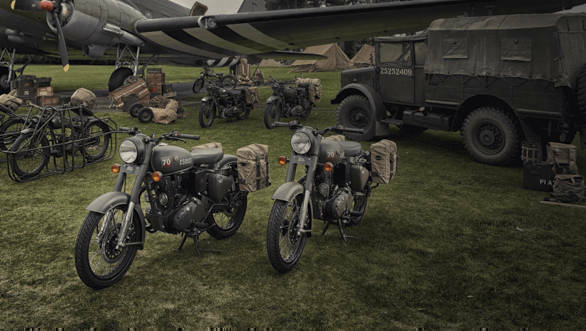 The limited edition motorcycle has been influenced by the Royal Enfield RE/WD 125 from WWII. This was a lightweight 125cc two-stroke motorcycle nicknamed the 'Flying Flea. It was deployed behind enemy lines via parachutes and onboard the Horsa Glider to provide communications support along with acting as a quick mobility platform for the forward units of the Airborne Pegasus Over 4,000 were deployed across various theatres of war, including in Normandy during D-Day. Mechanically the Pegasus edition remains unchanged from the standard Classic 500. This means the bike is powered by a 499 cc, air-cooled, single-cylinder engine good for 27.5PS and 41.3Nm. The frame, suspension and tyres have been carried over unchanged as well.